What’s in a name? To quote Shakespeare “that which we call a rose by any other name would smell as sweet". ArcGIS by any other name, including ArcGIS Pro, is the same sweet GIS for everyone, including Defence and Intelligence users. The name ’Pro‘ does not mean that you must be a GIS professional to use this new application. ‘Pro‘ simply denotes a more modern professional GIS application, built from the ground up, to fit the needs of a growing, diverse and more agile GIS community. ‘Pro’ also stands for progressive. It is the next-generation GIS application that aligns with today’s innovations and embraces progress, change and improvement. 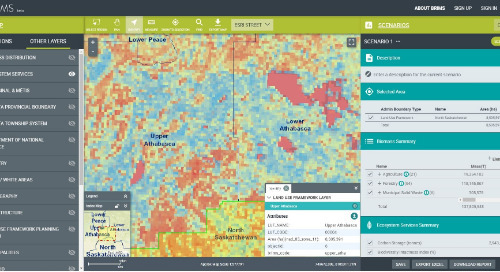 ArcGIS Pro also includes specialized tools designed to assist analysts in executing mission-focused workflows and creating multiple intelligence products. 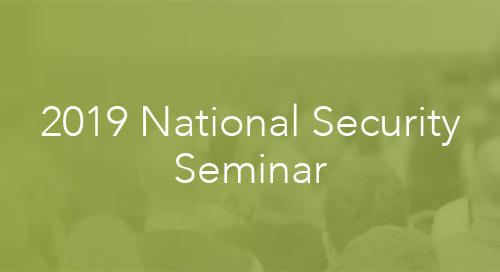 Whether you’re a GIS analyst working for a Defence, Security or Intelligence agencies, ArcGIS Pro makes it easier for you to find the right tool and deliver the right GIS product to your decision makers on time. 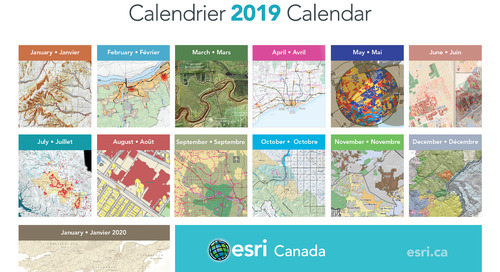 Launched in early 2017, ArcGIS Pro quickly became Esri’s new flagship desktop GIS application featuring the latest 64‐bit technology. It provides a highly intuitive user interface and delivers improved visualization, analytics, image processing, data management and data integration. ArcGIS Pro is a full-fledged GIS desktop application included with ArcGIS Desktop. 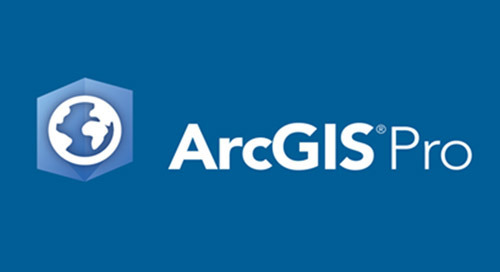 Any user, with their maintenance up to date, can install ArcGIS Pro for free which also comes with a complementary named user for ArcGIS Online or Portal. I’ll highlight the main benefits of ArcGIS Pro. Most important, it’s much more responsive and easier to use than ArcMap. 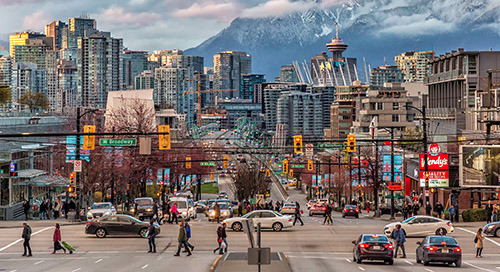 ArcGIS Pro takes advantage of your modern 64-bit hardware for maximum performance, faster processing, smooth map display and slick 3D scene rendering. It uses a ribbon-based interface, very similar to Microsoft Office applications, where you'll find most of your tools and commands. Pro can do exciting new things like design/edit data in 2D and 3D all in one place, and work with multiple displays and layout designs. 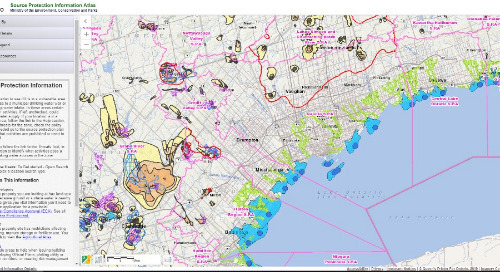 Pro can publish finished web maps directly to ArcGIS Online or Portal for ArcGIS, so sharing, viewing and accessing data from your online content is much easier. For the Defence community, ArcGIS Pro comes with the Military Tools for ArcGIS which provides simple tools for coordinate conversion, distance and direction calculations, visibility analysis, and the creation of military symbols. 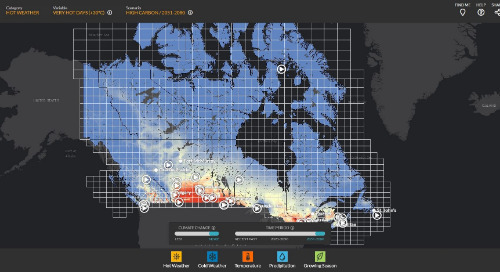 Also available as an extension to Pro is the Defense Mapping and Topographic Production toolbox which streamlines GIS data and map production for mapping agencies by providing tools for specialized data collection and attribution, geodatabase maintenance, data validation and the production of standardized military cartographic products. Defense Mapping also includes the geodatabase models, topologies, business rules, cartographic representations, and map templates required for many Defence mapping products such as Topographic Map (TM), Image City Map (ICM), and Multinational Geospatial Coproduction Program (MGCP) map products. Finally, I want to stress that ArcGIS Pro can be installed on your machine without affecting your current ArcMap license, as both Esri software components can run independently of each other and simultaneously. 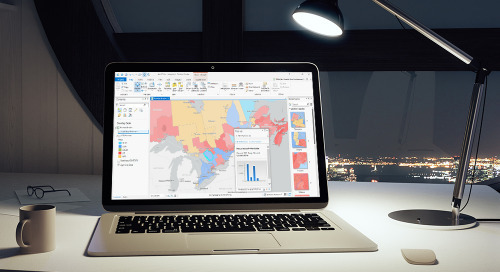 While support will continue for ArcMap for the next few years, all future Esri desktop development and functionality will be introduced through ArcGIS Pro. 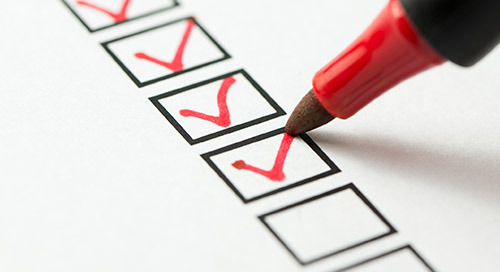 My colleague Chris North, recently wrote two great blogs: “Top 10 things I like about ArcGIS Pro” and “10 most common myths about ArcGIS Pro” that will take you through the highlights of what you need to know and why you should consider migrating to ArcGIS Pro. With that, I want to share three recent product developments that show the additional benefits and make a strong argument for moving to ArcGIS Pro sooner rather than later. Image Analyst Extension for ArcGIS Pro. In January 2018, Esri released a new extension for ArcGIS Pro 2.1 called Image Analyst. This extension adds new tools to conduct image interpretation, image analysis and image exploitation. 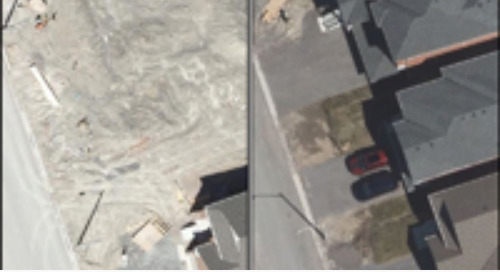 It provides geospatial and imagery analysts with advanced capabilities to support stereo mapping functionality, image space viewing and analysis, mensuration, raster exploitation, image classification, full-motion imagery, integrated GIS and other key remote sensing functionalities. The Image Analyst extension for ArcGIS Pro gives you access to enriched visualization, geospatial analytics, and powerful image exploitation tools. It is designed for analysts who focus on image processing, interpretation, analysis, and creation of products from remotely sensed data. The capabilities, functions and tools provided in the Image Analyst extension are geared toward military analysts who perform manual image interpretation, advanced remote sensing, semi-automated image processing and feature extraction. Image analysts typically extract data and information from imagery using manual and computer-assisted methods. This extension provides advanced capabilities to support both image exploitation methods. You can find more information about it here. New Crime Analysis Tools for ArcGIS Pro. 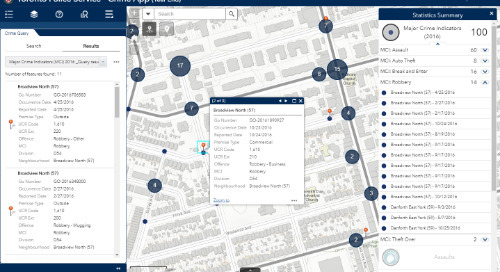 In June 2018, Esri also released a new ArcGIS Pro solution for crime and intelligence analysts. This solution is a free add-in to ArcGIS Pro and can be used by analysts to conduct a series of crime analysis functions. Although the solution is called “Crime Analysis” these tools have applicability much wider than crime analysis. They can also be used by Defence and intelligence analysts to investigate incidents, identify trends and relationships, create density maps and easily share their information products with others. The new Pro solution supports many of the most common workflows currently performed by analysts in ArcMap and includes new tools with out-of-the-box capabilities previously not provided in ArcGIS. These new tools are organized into a single ribbon interface and distinct buckets which support the following GIS functionalities: data management, data selection, tactical and strategic analysis, investigative analysis, products creation as well as sharing of finished information products. The Crime Analysis ‘Incident Path’ tool creates linkages between two layers based on unique identifiers. This tool can be used to identify one-to-one relationships or one-to-many, like gang member locations, as shown here. This new crime solution will help novice GIS users accelerate their ability to learn ArcGIS and help seasoned analysts transfer their capabilities from ArcMap to the new ArcGIS Pro. You can watch the recent webinar on the Crime Analysis tools at here. New Intelligence Configuration for ArcGIS Pro. In early August, Esri will release its new Intelligence Configuration for ArcGIS Pro (ICAP), a GIS workstation customized for the needs of the Intelligence community. ICAP streamlines user experiences and provides specialized tools to assist intelligence analysts in examining relationships, detecting patterns and predicting likely courses of action. ICAP leverages the analytic capabilities of ArcGIS Pro and includes additional tools, apps, enterprise data and services for improved intelligence production in the HUMINT, SIGINT, GEOINT and OSINT disciplines. For example, ICAP introduces a new tool that grabs files commonly used by the intelligence analyst (such as SHP, KML, and KMZ) and adds them to the map with the right symbology, including the NATO STD 2525 military symbology. ICAP also integrates the military tools, crime analysis tools and imagery tools with geospatial capabilities within the same ArcGIS Pro desktop environment. Organizations can use ICAP to enable a more efficient and streamlined workflow for data gathering and analysis. For example, to track smugglers crossing the border, an analyst can filter the relevant data from many point locations received through observations, sensors or reports and use a spatial query to identify the smugglers possible routes. 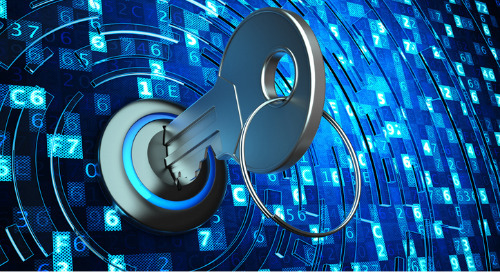 The ICAP custom configuration includes four templates to provide a streamlined user experience and specialized tools for HUMINT, SIGINT, GEOINT and All Source Intelligence Analysts working in Defence, Security, Law Enforcement, and other government agencies. Conclusion. 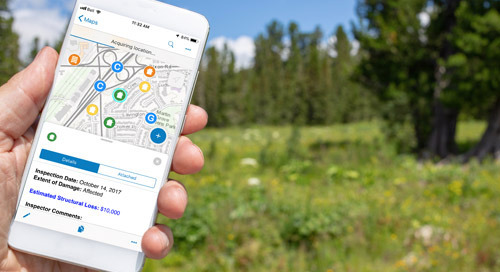 ArcGIS Pro is a modern GIS application which works much better with the rest of the ArcGIS platform, including ArcGIS Online, ArcGIS Enterprise and Esri’s vast library of ready-to-use apps. ArcGIS Pro features a vibrant and contextual ribbon interface that serves you with the right tools at the right time. Anyone who has spent time looking for tools knows how important this intuitive interface can be during time sensitive tasks. 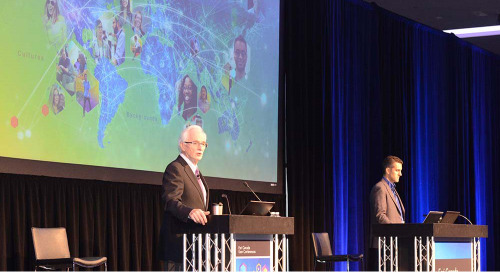 Esri is migrating its Defence solutions to ArcGIS Pro and is also developing new custom tools and configurations to streamline production workflows and support the Defence and Intelligence community. All the primary functionalities of a professional desktop GIS now exist in ArcGIS Pro. ArcGIS Pro is part of ArcGIS Desktop and is available with your current maintenance subscription. 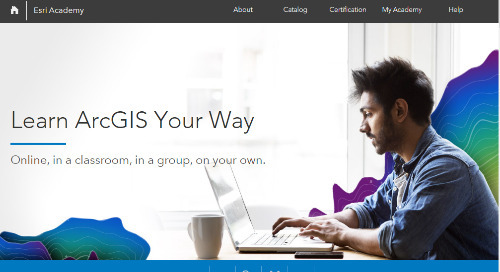 The licensing for ArcGIS Pro is managed via your ArcGIS Online or Portal for ArcGIS account. If you don’t have access and would like to give it a try, a 60-day free trial is also available. In Shakespeare’s play Richard II, the King languishes in prison after being dethroned and laments. "I wasted time, and now doth time waste me." Meaning, if you have not moved to Pro yet you are letting time tick by! Don’t wait any longer and don’t be intimidated by the name Pro. If you want to map like a pro, start using it now. You may not be a king, but everyone can be a Pro!